An arduous Exmoor race lies in the sights of a team from Lancaster later this month to raise money to help veterans struggling with issues such as debt, red tape, loneliness and homelessness. Soldier 30:30 involves racing 30km or 30 miles carrying a 30lb pack. One of these teams is Team Flight, made up of supporters of FirstLight Trust, a charity which helps ex-service men and women of the military and emergency services. 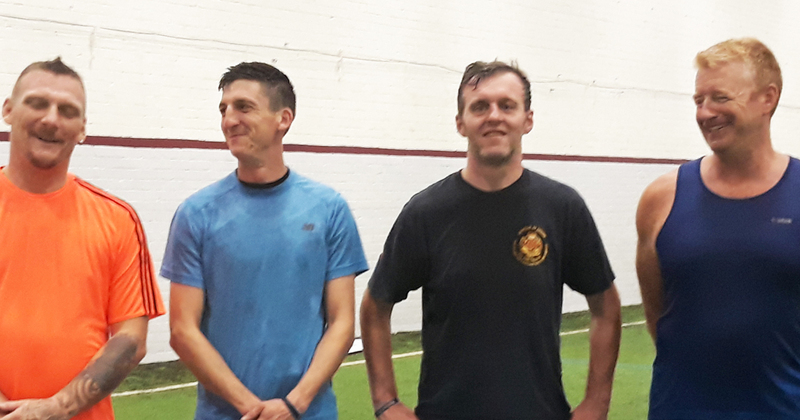 The team of Lancaster-based veterans include one Royal Engineer, one Royal Signaller, two veterans from the Duke of Lancaster’s Regiment and one medic who served 22 years. Their training has involved hill walking in Halton, Staveley and Pendle Hill with some sponsored runs thrown in for good measure. With 80% of the team playing for Burnley Veterans, Burnley F.C. In The Community offered weekly sessions focussing on core strength and cardio fitness. Another team member works for Lancashire Adult Learning which has led to a partnership with FirstLight Trust through the training. Soldier 30:30 begins on 13 October. Donations to Team Flight can be made online at: https://www.justgiving.com/fundraising/team-flight or in person at the FirstLight Trust hub at 63-65 Market Street in Lancaster.